At 42mm tall, this 115mm long (short?) 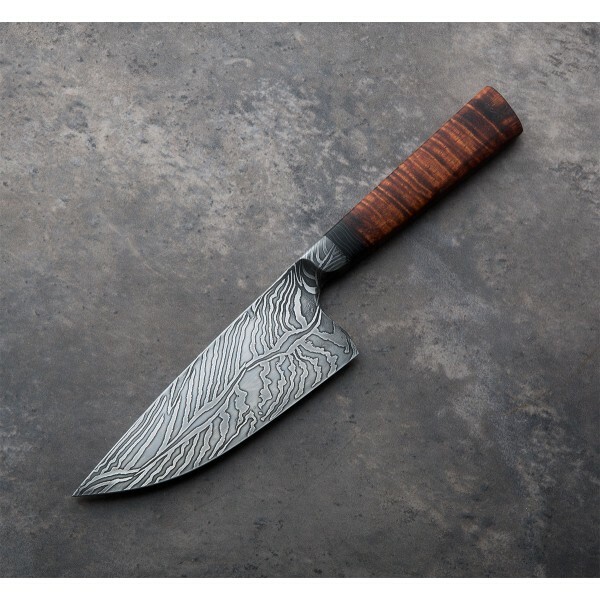 integral petty chef knife hand-forged by Nick Anger is a beautiful, unique and surprisingly practical utility knife in any kitchen. 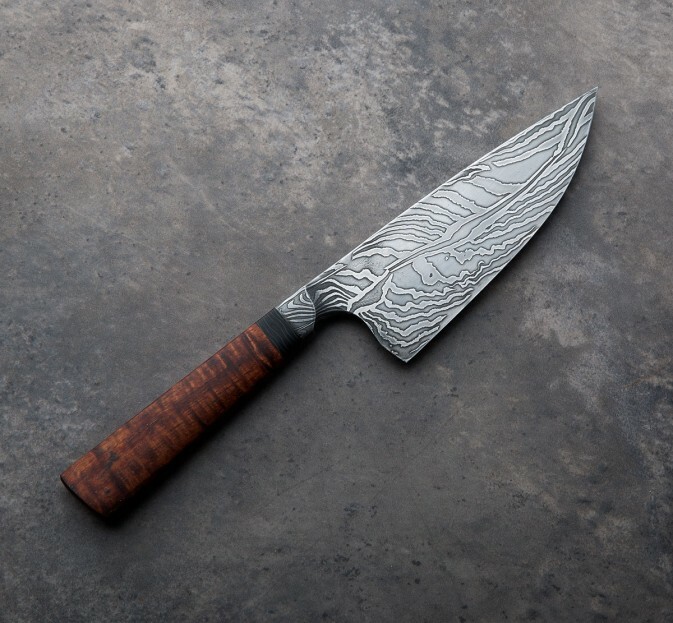 Made from 1080 & 15n20 damascus and dressed in stunning koa wood with a carbon fiber spacer, it's likely that once you've cut with this knife, you may only set it down in order to sleep. 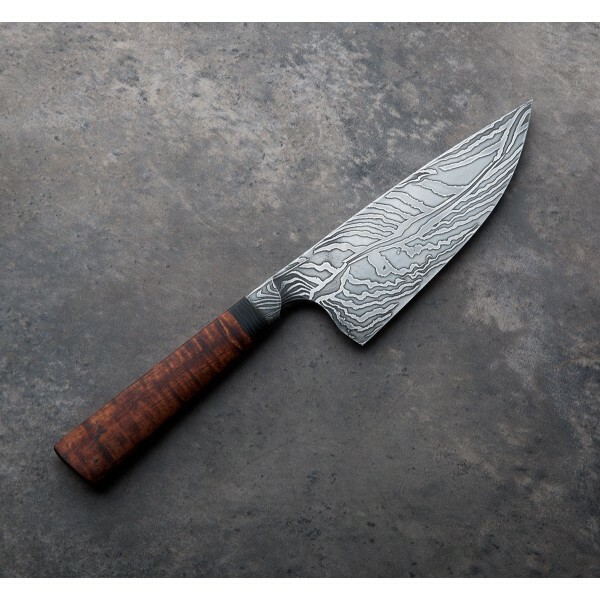 Blade: 115mm / 4.5". 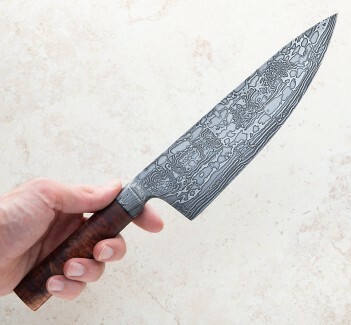 Overall length: 225mm / 8.9". Blade width at heel: 2.3mm. Blade width 1" from the tip: 1.1mm. . Blade height at heel: 42mm. Weight: 2.7oz / 78g.